On Feb. 10, 2017, Georgia Governor Nathan Deal called for a special election on April 18 to decide who would be the next congressman/congresswoman to represent Georgia in the 6th Congressional District, which comprises of eastern Cobb, northern Fulton, and northern DeKalb counties. 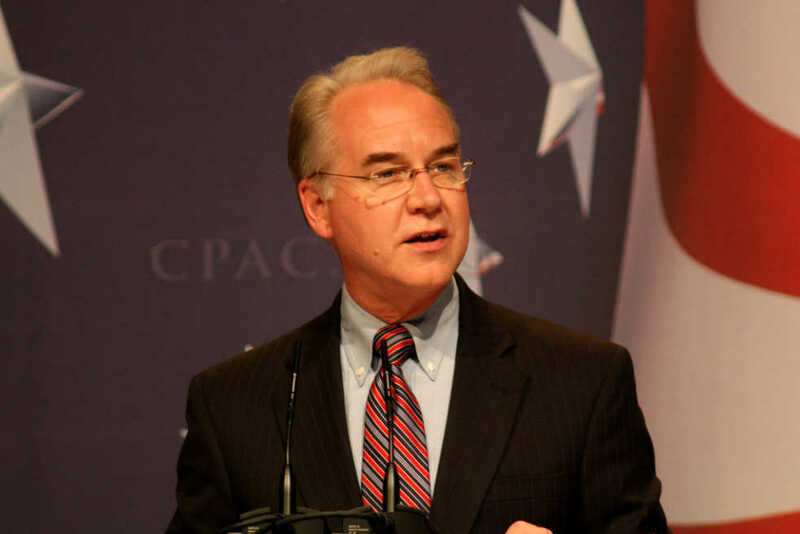 Former Representative Tom Price had to resign earlier in February due to accepting the role of U.S. secretary of health and human services, thus there is a vacant seat open in 6th Congressional District. Coincidentally, there are two candidates running for the position in the Republican party that just so happen to be graduates of Tech. Bob Gray (AE) and Keith Grawert (MSIE) are both in the race for the congressional seat, and it is definitely exciting news for students and faculty here at Tech to know that alums of the Institute are getting active in state and national politics. Bob Gray comes from a long line of military lineage, with his father serving in the Cold War, his grandfather serving in World War I, and his great-grandfather serving in the Civil War. Though unable to join the service himself, Gray received his pilot license while simultaneously majoring in aerospace engineering at Tech. He later on went to complete his engineering degree at Purdue University in Indiana and obtain an MBA in Finance from the University of Chicago. He has had ample success in the private sector for several years, and is even on the board of directors of Ammacore, a company based outside of Atlanta that focuses on network solutions. He is also a lifetime member of the NRA and is a member of the River Bend Gun Club just outside of Atlanta. Keith Grawert has also had experience with aeronautics as he has served in the Air Force as a pilot and is currently a major in the Air National Guard. He also has a background in electrical engineering and economics from Duke University, from which he completed his undergraduate degree in 2003. He subsequently graduated from Tech in 2010 with a Master’s in Industrial Engineering. Like Gray, Grawert also has a strong military background and believes in the protection of veterans and the men and women who are serving our country domestically and overseas. During his time in the military, Grawert was deployed four times to the Middle East, where he flew nearly 500 resupply flights within both Iraq and Afghanistan. Throughout his career as a pilot, he has flown even some of the most senior political figures in Washington D.C. from the vice president to the first lady. Though he has recently left active duty, Grawert still plans on serving the National Guard part-time as a pilot. Both Gray and Grawert were willing to be interviewed for this article, and were asked questions on how their past experience has influenced them to run in this election. Both alums have very interesting backgrounds in not just military service, but also passion for what they love and believe in. Both candidates believe strongly in military benefits and ensuring that those who have served or are serving in the Armed Forces will be compensated appropriately. Both of the candidates also feel very strongly that the government has become too powerful and has had too much influence over the people in the past several years. On April 18, 2017, there will be a new face in Washington representing the 6th Congressional district. The role of a Representative is no simple task and can really influence how much progress can be made in a short span of time. These are just two out of dozens other candidates to choose from, and it is the responsibility of the electorate to decide who represents their values the most. Who knows, come April we may have a Helluva Engineer as the voice of many Georgians in Washington.